Thousands of studies have shown the positive effects of meditation. Here are the highlights. The benefits of a meditation practice are no secret. The practice is often touted as a habit of highly successful (and happy) people, recommended as a means of coping with stress and anxiety, and praised as the next-big-thing in mainstream wellness. And it’s not just anecdotal. Thousands of studies have shown the positive impact that meditating has on our health and well-being. 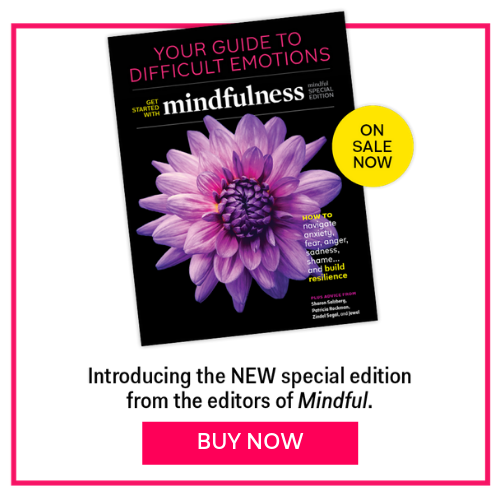 We’ve culled through the list to bring you highlights from the early stages of research into mindfulness. Sleep isn’t just relaxation for eight hours a day—it’s essential to our cognitive functioning. Meditation gives you all sorts of benefits, like enhanced REM sleep and increased levels of melatonin. Turns out it can even help serious sleep problems. Researchers conducted a study to see if mindfulness meditation would benefit those struggling with chronic insomnia. After eight weeks, those in the meditation training had less total wake time during the night, were more relaxed before going to bed, and reduced the severity of their sleep problems. Plus, in a follow up study six months later, the insomnia sufferers had maintained a better quality of sleep. A 2005 study at Harvard Medical School found that meditation increases the thickness of your prefrontal cortex, the area of your brain associated with attention and self-awareness. Furthermore, we now know it even reduces employee stress and burnout. A study on teachers at a school for children with severe behavioral problems who were treated to a Transcendental Meditation program had less stress, less depression, and overall lower burnout than other teachers. Researchers at UC San Francisco studied a group of women to test if meditating could prevent overeating. The scientists didn’t prescribe any diet, but instead taught mindful eating, and had participants meditate for thirty minutes a day. What happened? While the control group actually gained weight, the treatment participants maintained their weights, plus lowered their cortisol levels. Higher reductions in cortisol and stress also showed higher reductions in abdominal fat. Jon Kabat-Zinn, who heads up the Center for Mindfulness in Medicine at University of Massachusetts Medical School, proved back in the ‘80s that meditation and mindfulness could significantly improve pain symptoms and quality of life in chronic pain patients, even up to four years later. His program, called Mindfulness-Based Stress Reduction (MBSR) is practiced widely. Recently, we’ve also gotten a look at how the brain might be involved. When researchers had people participate in four days of mindfulness-based training, participants reported less pain intensity and unpleasantness. What’s more, MRIs showed reductions in pain-induced cerebral blood flow during meditation sessions. Focusing on all the terrible things that might happen to us—but often don’t!—takes us away from the present, and causes our bodies a lot of stress. Dr. Elizabeth Hoge, a psychiatrist and assistant professor of psychiatry at Harvard Medical School, found that meditation could even help those with generalized anxiety disorder, a condition marked by hard-to-control worries, poor sleep, and irritability. Meditation helps us gain awareness of our minds, so we can see negative thoughts and say “those thoughts are not me.” Becoming less identified with our emotions and thoughts helps those thoughts lose power. Relaxing your body and mind with meditation helps you to stay centered when you inevitably encounter those everyday stressors—rush hour traffic, anyone? Investigators from the Benson-Henry Institute at Massachusetts General Hospital found that practicing meditation causes what is called the “relaxation response,” the opposite of the “fight-or-flight” response—what happens to our bodies when we get stressed. Their studies showed that the relaxation response alleviates anxiety and also has positive effects on heart rate, blood pressure, and brain activity. Your partner will thank you. By learning to better recognize your own emotions, and those of others, you’ll more easily experience lasting harmony in your relationships. Researchers from the University of California-San Francisco taught 82 female teachers, all married or living with a partner, how to meditate. Compared with a control group that hadn’t learned meditation, the women gave fewer negative facial expressions during a marital interaction test. Good news, because studies at UC Berkeley showed that people who demonstrate negative facial expressions toward their partners are more likely to divorce. Maharishi International University in Iowa found that women who practiced meditation reported significantly greater marital satisfaction than those who didn’t. Those who meditated regularly saw the greatest benefits. Maybe you’ve heard that it takes 10,000 hours of practice to be great at something. The Beatles played 1,200 concerts together before becoming internationally known. Bill Gates started programming in eighth grade. But new research shows there’s a different formula for success. World-class athletes, top managers and world-class performers, when tested, have all shown high levels of what’s called brain integration. This means that their brains are wired with strong connections between the different areas, they have heightened attention, and they’re able to think quickly to deal with problems. This is the new key to success, as noted by U.S. neuroscientist Dr. Fred Travis, because it’s the fire starter behind the creativity that often leads to success. Luckily, a study from Harvard Medical School demonstrated that meditation causes changes in brain waves that actually improve the brain’s functionality. You can find success in any area of your life, and just think of all the time you’ll save! Wanderlust’s core mission is to create community around mindful living. Mindful living is a conscious, value-based approach to leading a sane & healthy life. At Wanderlust, we focus on a few simple principles: practice yoga, eat well, be green, practice purpose, create awareness, and showcase art.